So I’m winding down my Etsy business of selling resin jewellery in favour of teaching people to make their own lovely resin pieces. It was kind of a bitter-sweet decision, but definitely one that I feel good about. 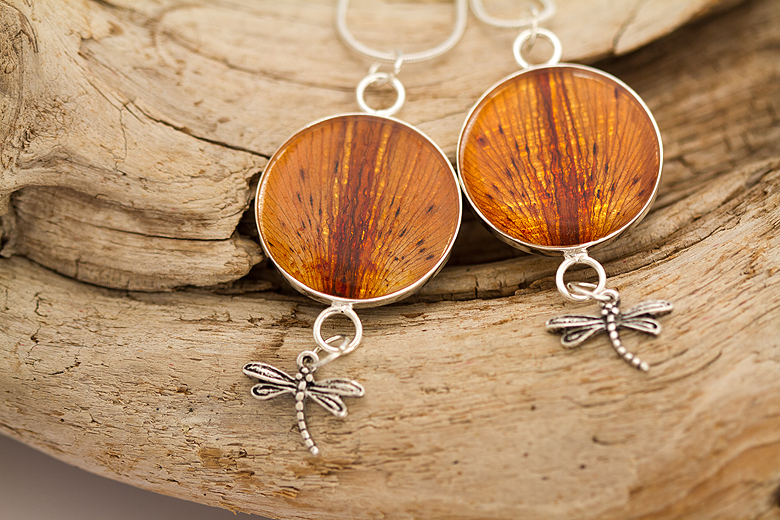 One of my last sales was to a girl who had written to me months ago asking about tiger lily and dragonfly pieces. We touched base again a few weeks ago and I agreed to put together a custom piece for her. I lied, actually, we hadn’t agreed on anything yet when I went ahead and created something I had in my head – 2 matching pieces with bright orange tiger lily petals and silver dragonfly charms. She had told me in the email that dragonflies and tiger lilies had personal meaning for her, and I really wanted to make something that could be part of that story. 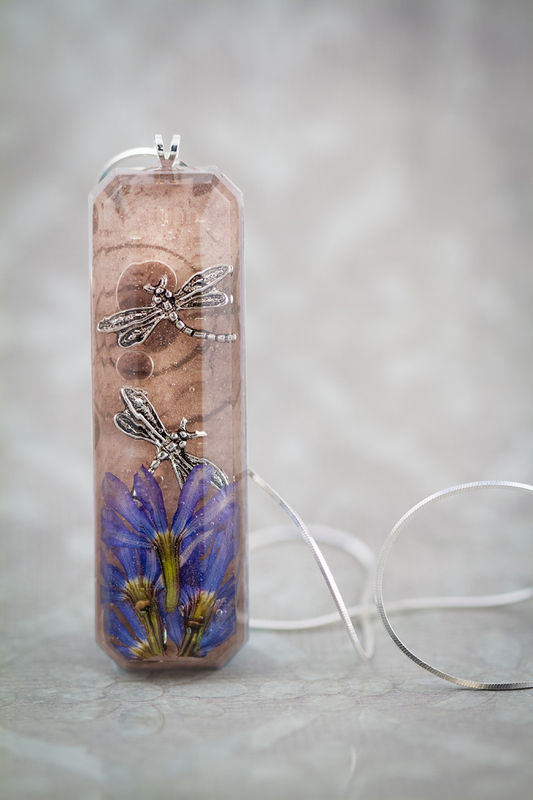 She loved them, and before I ship them I’m including a gift from me – a third pendant, of 2 dragonflies fluttering away above a field of blue flowers with delicate swirls behind. It’s a happy way to end off my last week of Etsy sales. I can’t express the joy it gives me to make someone something meaningful to them personally. That’s what handmade craft is all about. Click here to check out what’s left – I’ll be taking it all down on Friday! I still accept custom orders so feel free to email me at hello@thebluebrick.ca if you’re interested. If you’re looking to make your own resin jewellery check out my e-book :) From preserving flowers to pouring resin, it’s all in there! Looking forward to starting my resin journey – going to go supply hunting this weekend. Is the flower in the lower pendant chicory? They’re little blue flowers – and I wish I knew what they were called, but it’s not chicory! Good luck with your resin adventure – I’d love to see what you make!